Welding is a complex process requiring combination of several process parameters. 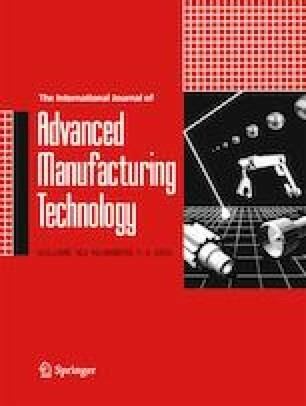 In this study, the effect of the thermal and electrical properties of carbon steel STKM13A during the welding assembly of rail car suspension system was investigated using numerical experiment. The welding parameters for the welding simulation process of the suspension system of the rail car are given as the following: voltage (24 V), current (220 A), speed (0.005 m/s), arc length (0.01 m), and efficiency (0.9). This serves as the input parameters into Simufact software version 7.2 for the simulation of the arc welding process at ambient temperature of 25 °C. Also, in order to study the effect of thermal and electrical conductivity on the welding process, the thermal and electrical modeling was carried out at room temperature to melting temperatures (25–1500 °C) using the average values of three critical parameters, namely specific heat (700 J/kg K), thermal conductivity (40 W/m K), coefficient of thermal expansion (1.5 × 10−5 K−1), electrical conductivity (2.5×10−7 − 1.14 × 10−6Ωm), and resistivity (4.0×10−6 − 8.77 × 105Ωm−1), as input parameters into the software. The statistical analysis of the results obtained brought about the development of a model that correlates electrical resistivity as function of the welding parameters for the optimization of welding process. In addition, the five input parameters are critical as they affect welding processes significantly, hence should be controlled to promote safe, reliable, and efficient welding processes.